Pronto Pizza started business in August 2008 based on Standish Street in Burnley, Lancashire, Since they opened the business had grown considerably due to a large demand for their food from people in Pendle, pronto pizza made the decision to combined two shops into one new premises at Sandygate, Burnley, to accommodate the first floor the owners decided to purchase a Platform lift Company British style disabled Platform lift to comply with the regulations and give disabled persons access to the upper floor. Following a request from the owner of this busy fast food restaurant The Platform Lift Company advised how best the first and second floors could be made accessible without losing valuable space for tables. 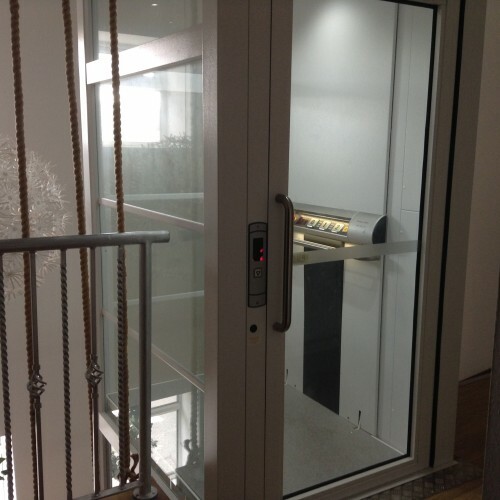 By positioning the lift into the existing stairwell no space was lost and with the glazed enclosure the natural light to the stairs was also maintained. 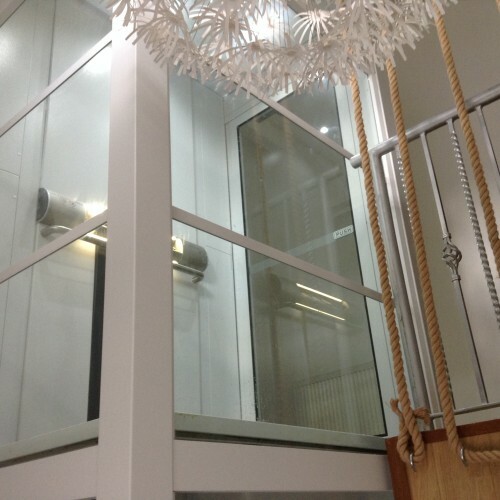 With the British style Platform type disabled lift small footprint and very minimal structural loadings it fitted in perfectly, the glazed lift shaft gave made it look like a feature within the stairwell and of course a pleasure for every disabled person to ride in when wanting to dine on the first floor.